Arthur Adamov was a playwright, one of the foremost exponents of the Theatre of the Absurd. 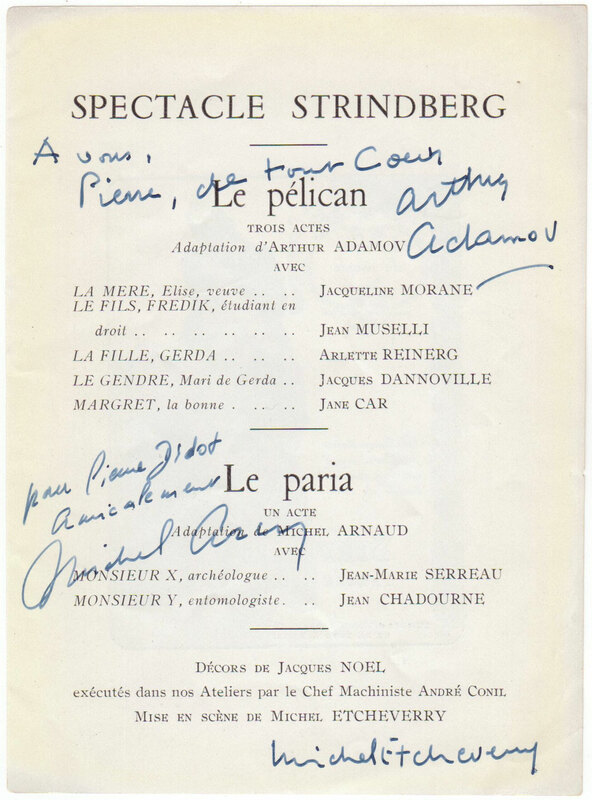 Signed and inscribed program page “Spectacle Strindberg”. 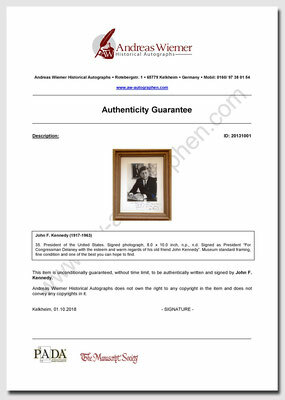 Signed and inscribed “Arthur Adamov”. 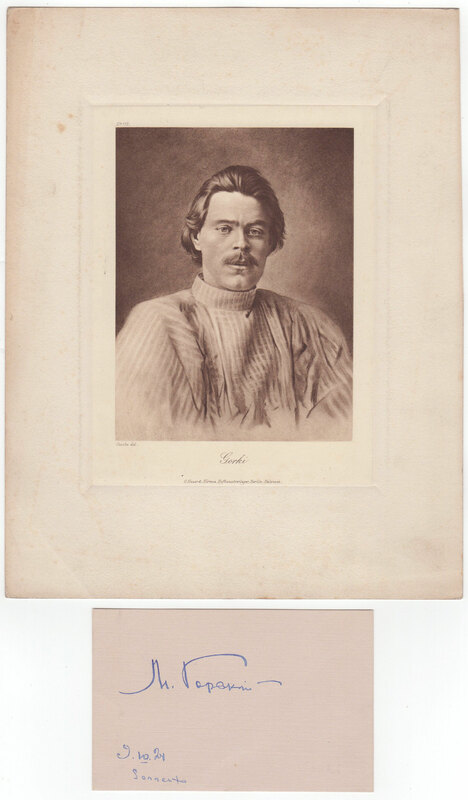 1p., 5.25 x 7.0 inch, n.p., n.d. Additional signed and inscribed by “Michel Arnaud” and signed “Michel Etcheverry”. Handling wear, else fine condition. Scottish novelist and playwright, best remembered today as the creator of Peter Pan. Autograph letter signed “J. M. Barrie”. 1p. (bifolium), 4.5 x 6.0 inch, Lancaster Gate, 1905 December 2. To Mr. Hammerton. Barrie writes, in full: “I don't have a thing, and am very sorry. May the magazine flourish under you. And thank you for your pleasant words about my plays”. Mailing fold, else fine condition. Barrie correspondent is most likely to be John Alexander Hammerton (1871-1949) Scottish Journalist and Editor of encyclopedias and other reference works. Hammerton had joined Alfred Harmsworth's Amalgamated Press in 1905, the same year as the present letter, and would later edit a biography of Barrie. French poet who also produced notable work as an essayist, art critic, and pioneering translator of Edgar Allan Poe. Document signed “Baudelaire-Dufays” and additionally in his hand “17. Quai d’anjou”. 1p., bill of exchange, 9.5 x 4.0 inch, Neuilly 1845 March 6. A bill of exchange for the antiquarian Antoine-Jean-Marie Arondel. In French, in full: “Au vingt novembre prochain il vous plaira de Payer a mon ordre par cette seule de change La somme de six mille cinq cents francs pour même valeur reçu comptant / Arondel“ Baudelaire signs the following part: “accepté pour la Somme de Six mille cinq cents francs Valeur reçue comptant / Baudelaire-Dufaÿs. / 17. quai d'Anjou.” "Dufaÿs" was the maiden name of his mother. On the reverse two further notes from Arondel: "Payez à l'ordre de M. Perducet, valeur reçu comptant ..." as well as "Ce billet n'a plus de valeur et a été renouvellé ..." Minor damage to the left edge, small pin holes, handling wear, else good condition. For non-payment of debts, homeowner Nicolas Perducet sent a bailiff to Baudelaire on May 16. Baudelaire had acquired paintings and etchings from Arondel, who ran an antique shop on the Quai d'Anjou on the ground floor of the house. American abolitionist and author, best known for her novel Uncle Tom's Cabin (1852), which depicts the harsh conditions for enslaved African Americans. Wonderful autograph quotation signed “HB Stowe” and dated in her hand “Aug 3 1886”. The quotation in her hand “Trust in the Lord and do good”. Small card, 3.5 x 2.0 inch, n.p. Accompanied by a fine engraving of Beecher Stowe by A.H. Ritchie. Card has mounting residue on verso and a bend in the middle of the lower half, engraving is in fine condition. English children's writer whose books have been among the world's best-sellers since the 1930s, selling more than 600 million copies. Signed note “Enid Blyton”. 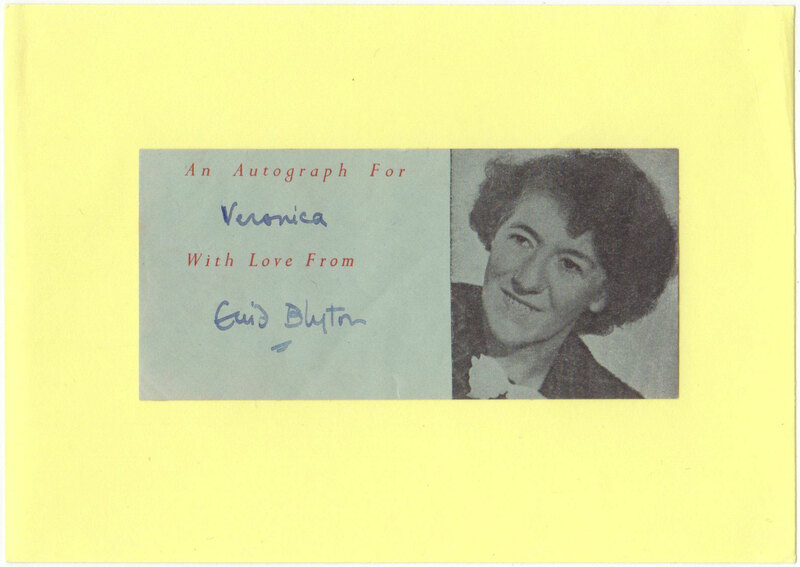 1p., 4.0 x 2.0 inch, n.p., n.d., printed “An Autograph for ‘Veronica’ (in Blyton’s hand) With Love From”. Mounted on a yellow card to an overall of 5.75 x 4.0 inch. Fine. One of Germany's foremost post-World War II. writers. Böll was awarded the Nobel Prize for Literature in 1972. Autograph letter signed „Heinrich Böll“. 1p., 5.75 x 8.25 inch, on his personal stationery. Köln, 1957 September 24. To the writer and publicist Gert Kalow (1921-1991). In parts, in full: „Ihr Brief war für mich eine große Freude, betrachte ich Sie doch ein wenig als einen kontrollierenden Bruder, nicht immer im Sinne der Kompetenz, sondern eher der Zeugenschaft...“ Translated: „Your letter was a great joy to me, I consider you a bit as a controlling brother, not always in terms of competence, but rather the testimony.” Mailing fold, else fine condition. Pearl Sydenstricker Buck was an American writer and novelist. In 1938 she was awarded the Nobel Prize in Literature "for her rich and truly epic descriptions of peasant life in China and for her biographical masterpieces”. 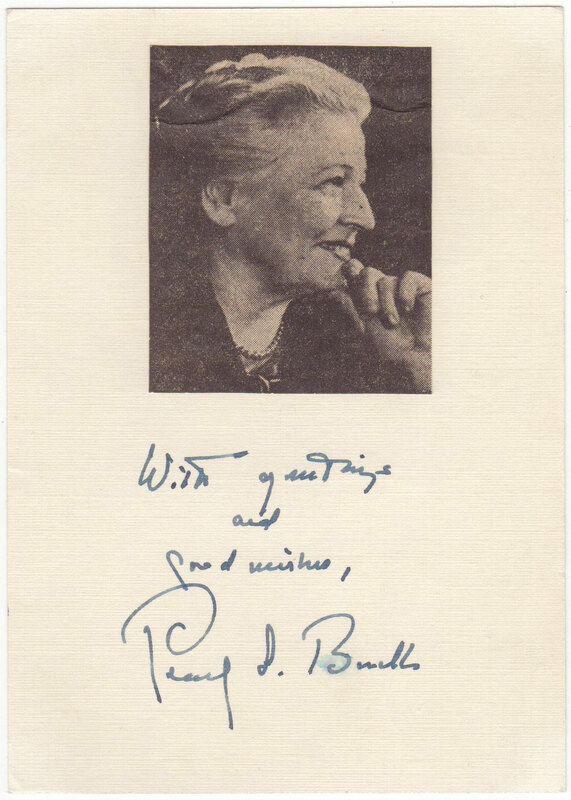 Signature “with greetings and good wishes, Pearl S. Buck”. Card, 4.25 x 5.75 inch, n.p., n.d., written and signed in dark blue ink. Newspaper photograph mounted. “B” slightly blurred, else fine condition. French philosopher, author, and journalist. He won the Nobel Prize in Literature in 1957. Portrait signed “en homage Albert Camus”. 8.0 x 10.5 inch, n.p., n.d. Page from a magazine, signed in dark black ink. Fine condition. English writer and social critic. He created some of the world's best-known fictional characters and is regarded as the greatest novelist of the Victorian era. Autographed letter signed “Charles Dickens” in the third person. 1p., 4.5 x 7.0 inch, 1867 October 10. The Stationery printed address is "Gad's Hill Place, Higham by Rochester, Kent". Letter to “Edward Fraser Esquire, 26 Craven Street, Strands”. In full: “Mr. Charles Dickens begs Mr. Carlin to send him down at once, by railway to Higham Station, two boxes of usual cigars.” Letter is affixed to another piece of paper and then handsomely matted in gray with a photograph of Dickens to an overall of 11.75 x 7.75 inch. Both items removable affixed with photo corners. Good condition. English writer and social critic. He created some of the world's best-known fictional characters and is regarded as the greatest novelist of the Victorian era. Handwritten envelope signed “Charles Dickens”. 4.75 x 2.75 inch, London, 1865 December 21 (postmark). Fine red wax seal on verso, franked with the 1 penny red. Addressed in ink by Dickens to his sister-in-law Miss (Georgina) Hogarth in Rochester and signed on the bottom left. Handling wear, else fine condition. Hogarth was the maiden name of Dicken’s wife, and Gad’s Hill Place was his home. Georgina Hogarth took care of his home after Dicken’s separation from his wife in 1958, and even a long time before. Sir Arthur Conan Doyle was a Scottish writer and physician, most noted for his fictional stories about the detective Sherlock Holmes, which are generally considered milestones in the field of crime fiction. Autograph letter signed “A Conan Doyle”. 2 pages, bifolium, 4.5 x 7.0 inch, Grand Hotel, 1903 May 26. In full: “Dear Sir I shall be here all the week, in case anything is wanted. I observed a suggestion in a paper the other day that some Motor Cycle firm should prepare a machine + trailer expressly for Commercial Travellers. I think that a very good idea. Don’t you think that something of the sort, well done, and shown in some exhibition would do us good - The C.T. Motor Cycle. I had wished to put Mr. Stewart Leckie on the board, but I don’t want to overman it, and as the other was actually asked that seemed to end the matter. 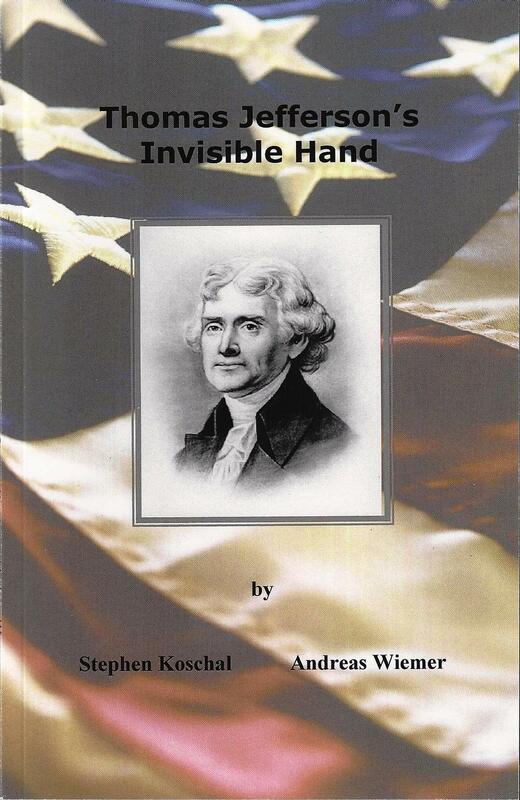 But it is understood, is it not, that I have the power of adding Mr. Leckie to it at any time.” Mailing fold, slightly discolored, else fine condition. French novelist of such historical classics as The Count of Monte Cristo, The Three Musketeers and The Man in the Iron Mask. Autograph note signed “Alex Dumas”. 1p., 8.25 x 5.25 inch. N.p. (Paris), n.d. (April 1857). Dumas writes to a friend, in French. Translated: “Dear friend, I leave and go to meet Hugo,… Sort things out so I can get the last 200 francs at the hotel”. Handling wear, else good condition. Excellent association. Hugo would write to Alexandre Dumas fils when his father passed away, reporting about their talks and mentioning that he met his father at Guernsey in 1857 for the last time. British essayist, publisher, playwright, literary and social critic and "one of the twentieth century's major poets", awarded the Nobel Prize in Literature in 1948. Fine typed letter signed „T.S. Eliot“. 1p., 7.25 x 9.5 inch, Faber and Faber Limited, Russell Square, London stationery, 1951, April 4. Addressed to Maurice Carpenter in Somerset. In full: „I am sorry fort he delay in reporting on the collection of poems you sent with your letter of February 3rd. I was well impressed by your poems, and sent them for further reading. Since then, I have had to be away from business for reasons of health, and find that while your poems have certainly impressed the readers, they are, on the whole, averse to taking these on for the reason that we now have to confine our poetry list within limits, owing to the very high cost and the small demand. I feel sure that your poems merit publication, and I think that the present selection will have much better chances than The Tall Interpreter. The volume is decidedly on the short side, and I suggest that in writing to any publisher, you should mention that you are prepared to add further poems to this self-contained series“. Mailing folds, some light overall creasing and a few minor tears to the edges, else good condition. A letter of interesting literary content. German philosopher. He received the 1908 Nobel Prize for Literature. 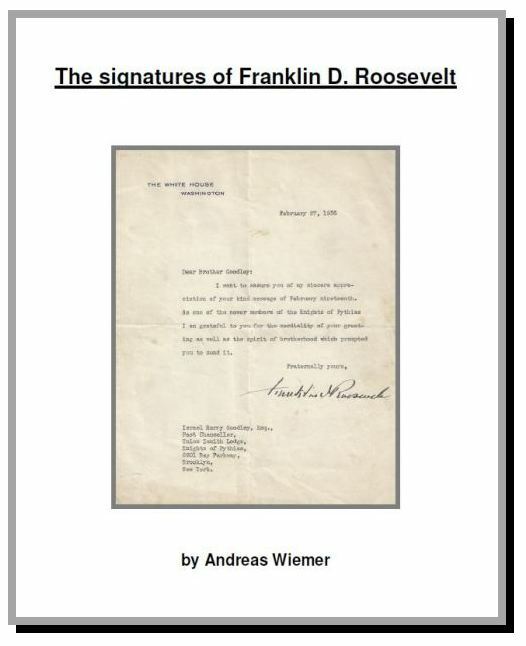 Autograph letter signed “R. Eucken”. 1p., 4.25 x 7.0 inch. Jena, 1910 January 5. Addressed to the journalist Dr. Josef Adolf Bondy (1876-1946) in Berlin regarding an article. Mailing fold, else fine condition. German philosopher. He received the 1908 Nobel Prize for Literature. Autograph postcard signed “Rud. Eucken”. 1p., 5.5 x 3.5 inch. Jena, 1910 February 6. Addressed to the journalist Dr. Josef Adolf Bondy (1876-1946) in Berlin regarding his article "Finlands Not" (Finlands misery). In German in part: "Von Englischer Seite wird mir der dringende Wunsch ausgesprochen, mein Artikel 'Finlands Not' müßte ins Englische übersetzt werden und in einer weitverbreiteten Englischen Tageszeitung erscheinen..." Punch holes, slightly stained, else good condition. French Poet & Novelist, Nobel Prize winner for Literature 1921. Autographed letter signed “Anatole France”. 2p., 9.75 x 7.25 inch, St.Cyr-Sur-Loire, n.d. (probably June 1917), on his printed stationery and addressed to a friend in French. France writes: “If new health tests on your young patient are good, if any hope, write to me promptly. I am here ready to share your sorrow. Emma, better than me, is still very afflicted. Send us reasons for hope. There are reasons, am sure.” A close and personal letter. With a vintage unsigned postcard photograph carefully affixed beneath his signature. The two pages have been neatly pasted one alongside the other. Fine! Paul Claudel (1868-1955) was a French poet, dramatist and diplomat and the younger brother of the sculptress Camille Claudel. Fine magazine page signed “a Madame Val Claudel”. 1p., 8.0 x 10.5 inch, n.p., n.d. Signed in dark black ink. Marcel Achard (1899-1974) was a French playwright and screenwriter whose popular sentimental comedies maintained his position as a highly recognizable name in his country's theatrical and literary circles for five decades. Fine magazine page signed “très cordialment Marcel Achard”. 1p., 8.0 x 10.5 inch, n.p., n.d. Signed in dark blue ink. Both magazine pages in fine condition. French author and winner of the Nobel Prize in Literature in 1947. Typed letter signed “Andre Gidé”. 2pp. (bifolium), 4.5 x 7.0 inch, Cuverville, n.d. (1927). To Gustave Pigot, director de la revue Le Capitole. Fine untranslated letter in French, in full: “Pour l’amour du ciel, laissez B. tranquille. Il s’amuse de vous et de moi. Je me mordais les doigts de l’avoir sollicité, et suis extrèmement heureux qu’ill s’abstienne; et d’autent plus que sa défection va permettre la collaboration de Valéry. Si donc maintenant, se ravisant, il vous envoie le manuscrit, ayez le courage de le lui renvoyer en lui disant: “trop tard”, la première place est promise. Aviez-vous déjà payé?? Je consen à vous couvrir cette fausse avance. Vous n’avez rien à répondre à Rouveyre, avec qui j’ai correspond. Laissez tomber cela. Pour Valéry, laissez-moi faire. et Jaloux? Vous ne me dites rien de Giraudoux. Ni de Mauriac, ni de Thibaudet, don’t vous annoncez la collaboration d’une manière peut-etre un peu imprudente, avant d’avoir recu leur “copie”. Et pour quoi mettre sue l’annonce “Etudes complement”, qui est “complètement” ridicule. Et “des documents rares” … Qu’entendez-vous pa là? Persuadez – vous que ces inutiles battages mècontentent les lecteurs autent que moi. Au revoir et croyez à mes sentiments bien cordiaux.” Mailing fold, handling wear, else fine condition. German writer, scientist, and philosopher who takes a place among the central intellectual and artistic figures of his day. Fine signature “JWvGoethe”. Part of a bill for books, 4.0 x 3.5 inch, n.p., n.d. On verso mention of authors and their works, among others Karl Heinrich Georg Venturini “Chronik des XIX. Jahrhunderts”, Theophil Friedrich Ehrmann “Handlungs-, Post- und Zeitungs-Lexicon” and Friedrich Wilken “Geschichte der Kreuzzüge”. Fine condition. Handsomely matted in gray with a photograph of Goethe to an overall of 7.75 x 11.75 inch. Both items removable affixed with photo corners. Russian and Soviet writer and a founder of the socialist realism literary method, a political activist and also a five-time nominee for the Nobel Prize in Literature. Signed card “M. Gorki” and additional in his hand “9.10.24 Sorrento”, written in dark blue ink and Cyrillic. 5.0 x 3.25 inch, Sorrento (Italy), 1924 October 9. Together with a fine and large portrait, 8.25 x 10.5 inch, Hofkunstverleger G. Heuer & Kirmse, Berlin-Halensee. Card in fine condition, portrait slightly discolored, else fine. Perfect example of a Gorky signature. German dramatist and novelist. He is counted among the most important promoters of literary naturalism, though he integrated other styles into his work as well. He received the Nobel Prize in Literature in 1912. 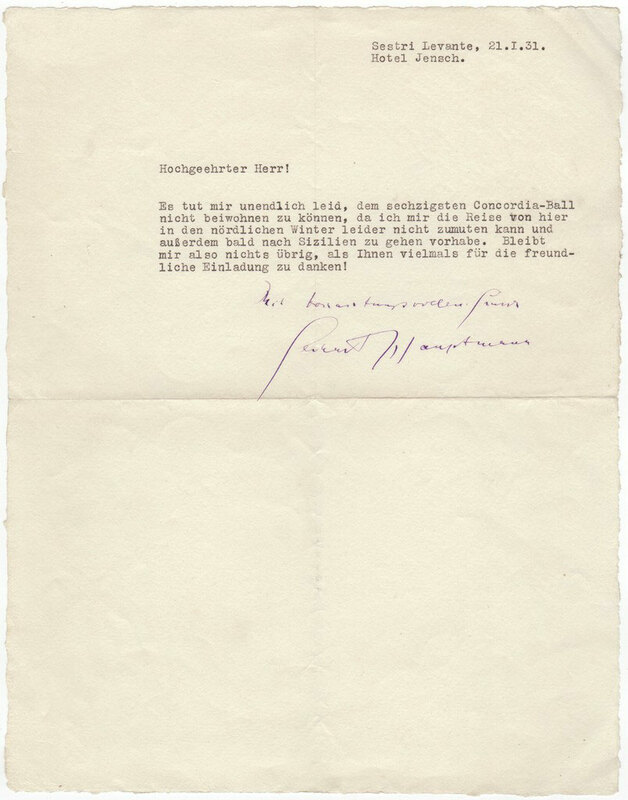 Typed letter signed “Mit hochachtungsvollem Gruss Gerhart Hauptmann”. 1p., 8.5 x 10.75 inch, Sestri Levante, 1931 January 21. To an unnamed recipient regarding an invitation. In German, in full: "Es tut mir unendlich leid, dem sechzigsten Concordia-Ball nicht beiwohnen zu können, da ich mir die Reise von hier in den nördlichen Winter leider nicht zumuten kann und außerdem bald nach Sizilien zu gehen vorhabe. Bleibt mir also nichts übrig, als Ihnen vielmals für die freundliche Einladung zu danken!" Mailing folds, else fine. German-Swiss poet, novelist, and painter. His best-known works include Steppenwolf, Siddhartha, and The Glass Bead Game, each of which explores an individual's search for authenticity, self-knowledge and spirituality. In 1946, he received the Nobel Prize in Literature. Typoscript signed “H Hesse”. 1p., 5.75 x 8.25 inch, thin carbon paper, n.p., n.d. Poem “Flötenspiel” (1940). Signed by Hesse in dark black ink. Fold, corner wear, punch holes, else fine condition. German-Swiss poet, novelist, and painter. His best-known works include Steppenwolf, Siddhartha, and The Glass Bead Game, each of which explores an individual's search for authenticity, self-knowledge and spirituality. In 1946, he received the Nobel Prize in Literature. Typed letter signed “H Hesse”. 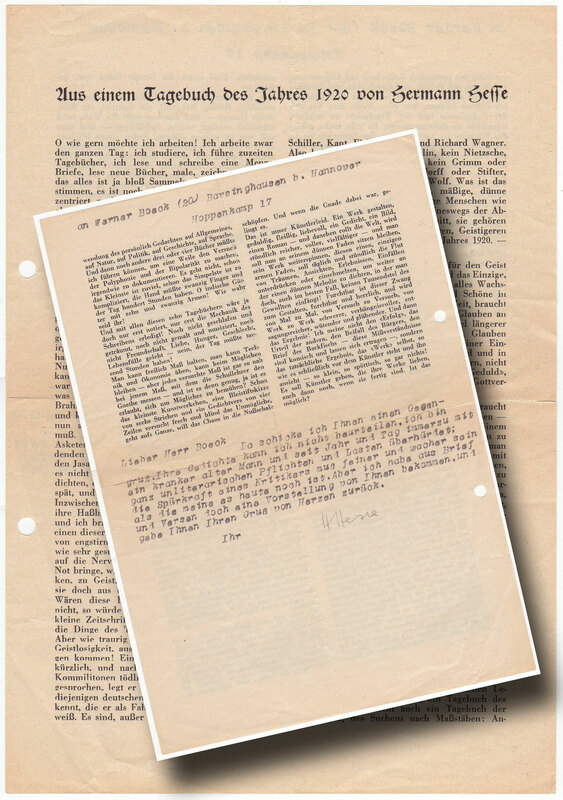 1p., (recto and verso), printed page from his diary “Aus dem Tagebuch des Jahres 1920 von Hermann Hesse”. N.p., n.d., addressed to Werner Boeck, Barsighausen bei Hannover. In full: “Da schicke ich Ihnen einen Gegengruß. Ihre Gedichte kann ich nicht beurteilen, ich bin ein kranker alter Mann und seit Jahr und Tag immerzu mit ganz unliterarischen Pflichten und Lasten überbürdet; die Spürkraft eines Kritikers muß feiner und wacher sein als die meine es heute noch ist. Aber ich habe aus Brief und Versen doch eine Vorstellung von Ihnen bekommen, und gebe Ihnen Ihren Gruß von Herzen zurück“. Signed in pencil by Hesse. Fold, corner wear, punch holes, else fine condition. German-Swiss poet, novelist, and painter. His best-known works include Steppenwolf, Siddhartha, and The Glass Bead Game, each of which explores an individual's search for authenticity, self-knowledge and spirituality. In 1946, he received the Nobel Prize in Literature. Typoscript signed “Gruss von H Hesse”. 1p., 8.25 x 5.5 inch, thin carbon paper, n.p., n.d. Poem “Skizzenblatt”. Signed by Hesse in dark black ink. Fold, corner wear, punch holes, else fine condition. German writer and translator. He was awarded the Nobel Prize for Literature in 1910. Vintage signed postcard photograph “Paul Heyse”. 3.5 x 5.25 inch, n.p., n.d. Semi-profile head and shoulders pose wearing a hat. Signed in dark fountain pen ink with his name alone to a light area at the base of the image. Fine condition. A German poet. He is best known for writing "Das Lied der Deutschen", its third stanza now being the national anthem of Germany. Autographed letter signed “Dr. Hoffmann”. 4pp., two adjoining sheets, 4.75 x 7.75 inch. Breslau, 1833 August 3. Letter sent to his publisher F. A. Brockhaus about the publication of his Collected Poems. In part (translated): “I now have renewed courage for my poetry and my life, and with your help I will soon be able to occupy the place among German poets that I deserve as befits my poetry. The present collection can be considered complete, even though it is rigorously selected from already printed and handwritten collections. I have deliberately excluded poems that seemed to me insignificant or deficient in form. Two thirds are therefore tantamount to being new. You will see from the ms. itself that this Complete Collection has become something entirely new.” Mailing fold, else fine condition. Letter of excellent content. French poet, novelist, and dramatist of the Romantic movement. He is considered one of the greatest and best-known French writers. Outside France, his best-known works are the novels Les Misérables, 1862 and Notre-Dame de Paris, 1831 (known in English as The Hunchback of Notre-Dame). Autograph letter signed “Victor Hugo”. 2pp. (double sheet), written on first page and second page inside, Paris, n.d. Addressed on verso in Hugo’s hand to Madame de Salvandy, the wife of the politician and writer Narcisse Achille Comte de S., who had invited him. In French, in full: “Votre gracieux billet, Madame, me donne mille regrets. je ne suis pas libre lundi je pense ne pouvoir lire mon discours à Monsieur de Salvandy que du 19 au 20. S’il avait besoin que je lui en disse le plan dès à présent, je me mets à sa disposition. Je suis fort triste, Madame, de m’appartenir si peu en ce moment, car les heures qu’on passe rue de cassette sont pour moi des plus charmantes.” Mailing folds, handling wear, else good condition. German author, poet, screenwriter and satirist, known primarily for his humorous, socially astute poetry and children's literature. For the latter contributions he received the biennial, international Hans Christian Andersen Award in 1960. Typed letter signed in pencil “Erich Kästner”. 1p., 5.75 x 8.25 inch, Munich, 1955 October 8. Addressed to the composer and pianist Gerhard F. Wehle (1884-1973) in Berlin. In German (untranslated): “... Leider sind alle die von Ihnen angeführten Arbeiten musikalisch bereits in festen Händen, und ich sehe keine Möglichkeit, Ihnen die Veröffentlichung und Aufführung dieser Texte zu erlauben. Daß Ihnen diese Absage schmerzlich sein wird, kann ich verstehen. Andererseits trifft an diesem Bescheide Sie selber die Schuld; denn es ist begreiflicherweise heutzutage mehr denn je notwendig, sich der erforderlichen Genehmigung zu versichern, ehe man sich die Mühe und Arbeit macht." Mailing fold, punch and staple holes, else fine condition. English journalist, short-story writer, poet and novelist. Most famous for “The Jungle Book“. He was awarded the Nobel Prize in Literature (1907), making him the first English-language writer to receive the prize. Autographed letter signed “Rudyard Kipling”. 1p., 4.5 x 7.0 inch, 1895 December 2, blindstamped letterhead of Naulakha, Brattleboro, Vermont, crossed through and replaced with “Waite Windham Co.” in Kipling’s hand. To “Gentleman” of “The Combined Press”. Apparently in response to a solicitation for literary submissions. In full: “In reply to your favour of the 30th I can only say that I should be most happy to do work in any directorate which included Mr J.K. Bangs but as matters stand at present I have no stories in hand and I never pledge myself in advance - least of all for “best work” as my endeavour is to keep as first-class a line of goods as I can.” Left edge rough, minor toning and wear, else fine condition. English journalist, short-story writer, poet and novelist. Most famous for “The Jungle Book“. He was awarded the Nobel Prize in Literature (1907), making him the first English-language writer to receive the prize. Verse signed “Rudyard Kipling”. 9.0 x 1.0 inch, n.p., 1929 March 17. Additional in Kipling’s hand: “France beloved of every god that loves + serves mankind!” Slightly discolored, diagonal bend, else good condition. Handsomely matted in gray with a photograph of Kipling to an overall of 11.75 x 7.75 inch. Both items removable affixed with photo corners. Beautiful presented! Swedish author. She was the first female writer to win the Nobel Prize in Literature and is best remembered for her children's book “The Wonderful Adventures of Nils Holgersson”. Autograph letter signed “Selma Lagerlöf”. 2 pages, bifolium, 5.5 x 7.0 inch, Marbacka, 1927 January 2. Addressed to the writer Nanny Wachsmuth in Rostock. Translated: „… Es hat mich ein wenig überrascht, dass Ihnen dieses Lied bisher unbekannt war. Es kommt nämlich in ‘Gösta Berling’ im Kapitel ‘Ebba Dohnas Geschichte’ vor. Möglicherweise ist es in der von Ihnen gelesenen Übersetzung ausgelassen. In Pauline Klaibers Übertragung, Albert Langen Verlag, ist es aufgenommen …“. Mailing fold, handling wear, else good condition. Gösta Berling's Saga was the debut novel of Selma Lagerlöf, published in 1891. To this day, Gösta Berling is one of the best known and most widely read Swedish books ever and counted among Selma Lagerlöf's greatest masterpieces. Swedish author. She was the first female writer to win the Nobel Prize in Literature and is best remembered for her children's book “The Wonderful Adventures of Nils Holgersson”. 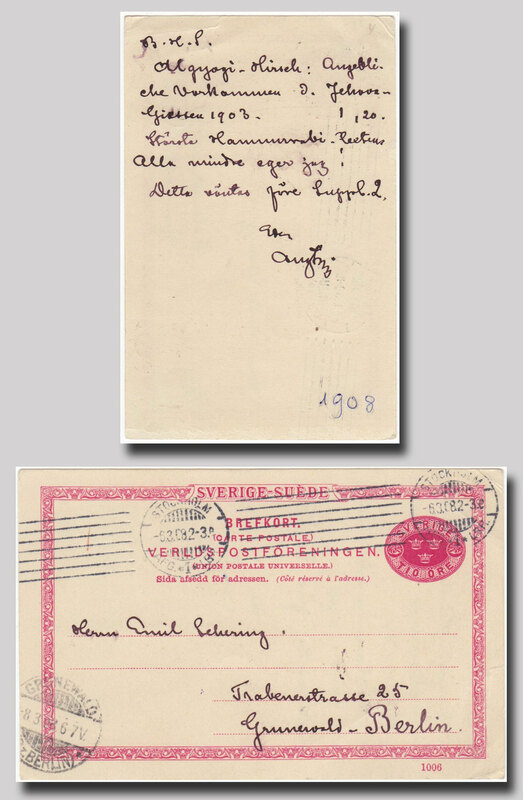 Autograph letter signed “Selma Lagerlöf”. 1p., bifolium, 5.5 x 7.0 inch, Marbacka, 1930 April 17. Addressed to Adolf Herrmann in Vienna regarding a manuscript. In German, in full: „Es tut mir leid, dass ich Ihnen nicht, wie Sie es wünschen, helfen kann. Seit einer Woche liege ich an Lungenkatarrhe krank darnieder und darf das Bett nicht verlassen. Ich habe es versucht, Ihr Opus zu lesen, ertrage es aber nicht. Es ist einem kranken Menschen allzu stark. Ich muß es Ihnen zurücksenden.“ The original mailing envelope is included. Mailing fold, else fine condition. Swedish author. She was the first female writer to win the Nobel Prize in Literature and is best remembered for her children's book “The Wonderful Adventures of Nils Holgersson”. Signed photograph “Selma Lagerlöf”. Card, 5.5 x 3.5 inch, n.p., n.d. Mint condition. 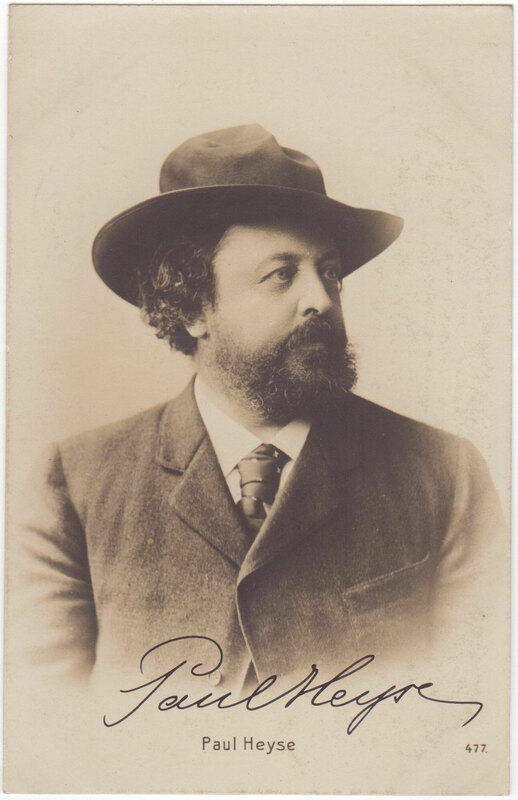 German Jewish philosopher, assassinated by Sudeten German Nazi sympathizers Autographed postcard signed „Th. Lg.“ and „Prof. Lessing“. Postcard, 4.0 x 5.75 inch, Marienbad (Czechoslovakia), 1933 May 18 (postmark). 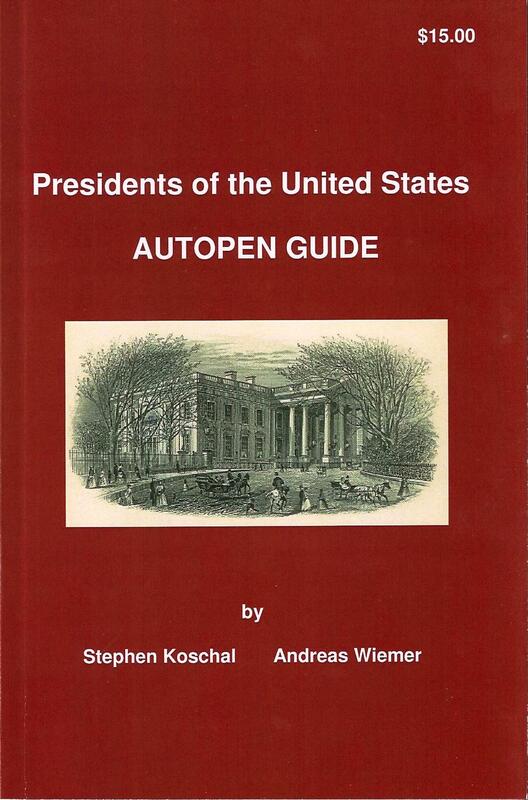 Addressed by Lessing to „Graf Adolf Dubsky, Schloss Ziadlowitz, Loschitz, Mähren“. In German, in full: „Werter Herr Graf, - Dank für die Nachricht. Das helle weisse Schloss lockt. Ich werde nicht verfehlen am Ende Juni es aufzusuchen. Den Brünner Vortrag über die Juden kann ich leider nicht senden, da ich ihn nicht aufgeschrieben habe. Interessant ist diese Zeit … ja, aber so wie ein Narrenhaus. Gute Fahrt und Dank“. Translated: „Dear Count, - Thanks for the news. The bright white castle lures. I will not miss to visit it at the end of June. Unfortunately, I can not send the Brünner lecture on the Jews, because I have not written it down. Interesting is this time ... yes, but like a madhouse. Good trip and thanks ". At that time, Lessing could not have foreseen that only a few weeks later he would fall prey to some fanatics of the "Narrenhaus (madhouse)". The prospective Lessing had fled to Czechoslovakia on March 1, and settled down in Mariánské Lázně, where he was by no means safe: he was shot by national socialist fanatics on August 30, 1933. A fine handwritten postcard with excellent content. American novelist, short-story writer, and playwright. In 1930, he became the first writer from the United States to receive the Nobel Prize in Literature.Typed letter signed “Sinclair Lewis”. 1p., 5.5 x 9.0 inch, Hotel Eden Pallanza (Italy) stationery. 1921, October 24 (Received 14 ’21 written in pencil) at the top. To “My dear Prins”. In full: “We have scattered, haven’t we? since that night of magic in New York. Your letter came from Seattle, Van Loon is teaching at Antioch College, Yellow Springs, Ohio, and I am spending the winter in Italy. Thanks so much for the more than nice things you wrote about ‘Main Street.’ I hope you like the next book as well – I am working on it now. Thought it is divinely possible to drink to your health and success in chianti, I am glad to do it with a cup of the wonderful Zeda chocolate which is made in this neighborhood.” Mailing folds, handling wear, else good condition. Main Street is generally considered to be Lewis's most significant and enduring work. A popular German writer, noted mainly for adventure novels set in the American Old West. Best known for the characters of Winnetou and Old Shatterhand. Signed postcard photograph “Gruß! May”. 3.5 x 5.5 inch, n.p., n.d., signed in dark black ink on verso. Photo by Erwin Raupp 1906 - printed on the left lower edge of the photo. Handling and corner wear, pinholes at the top and bottom edge, minor creases, signature large and unaffected. American author and journalist. One novel by Mitchell was published during her lifetime, the American Civil War-era novel, Gone with the Wind. Typed letter signed “Margaret M. March”. 1p., 7.0 x 11.0 inch, Atlanta, Georgia 1939 March 1, personal stationery, signed in dark black ink. Addressed to Mrs. Mills. In full: “I am returning the clippings which I enjoyed so much. Thank you for letting me see them.” Mailing folds, slightly discolored and handling wear, else good condition. American author and journalist. One novel by Mitchell was published during her lifetime, the American Civil War-era novel, Gone with the Wind. Handwritten return address, part of an envelope “Mrs. John March 1268 Piedmont Ave. N.E. Atlanta Ga.” 4.25 x 2.0 inch, written by Mitchell in dark black ink. 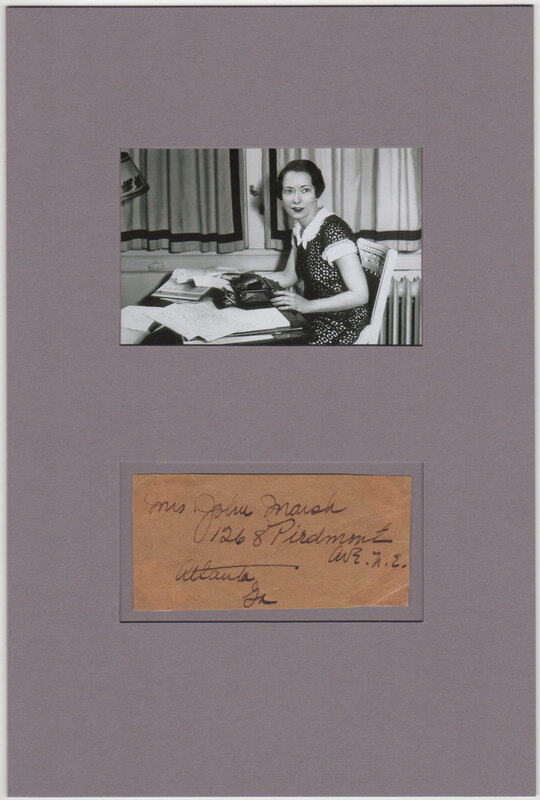 Margaret Mitchell Marsh moved to the Della Manta Apartments at Piedmont Ave. in 1939, shortly before the movie debut of "Gone With the Wind" and lived there until her death Aug. 16, 1949. Handsomely matted in gray with a photograph of M. Mitchell to an overall of 7.75 x 11.75 inch. Both items removable affixed with photo corners. Fine condition. Bohemian-Austrian poet and novelist, widely recognized as one of the most lyrically intense German-language poets, writing in both verse and highly lyrical prose. Autographed letter signed “R. M. Rilke”. 1p. 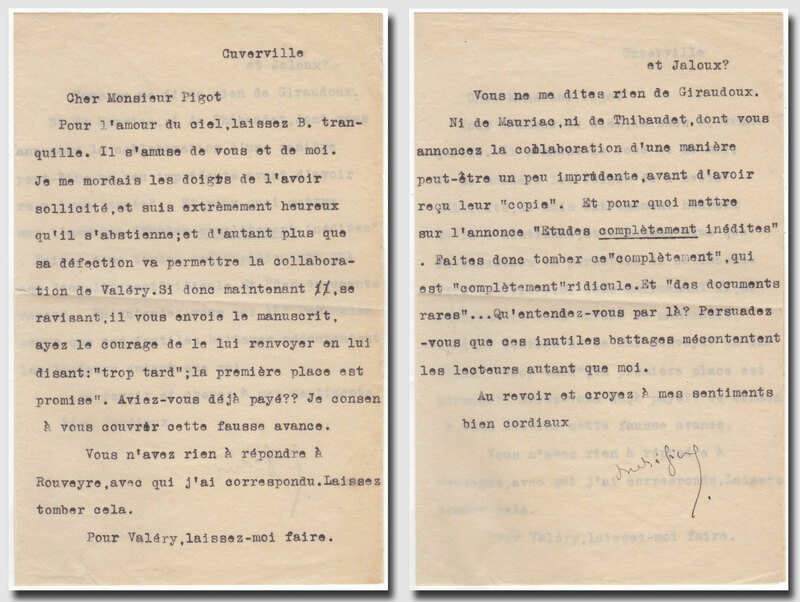 (recto and verso), 6.25 x 8.25 inch, March 16, 1922. Letter to Mr. Jaffe, written from his home at Chateau de Muzot, Switzerland. In full (translated): "The notation made by the sender of the requested books that arrived in good condition in two shipments, is an indication for me that you had taken special care sending these packages. Let me take this opportunity to express my personal gratitude for your courtesy. I am returning your greetings most heartily. Please remember me to your father, to whom I am also sending my regards and best wishes.” In good condition. The recipient of this letter was presumably the son of Munich bookseller Heinrich Jaffe, whose shop was a favorite of many writers including Rilke and Thomas Mann. At this time Rilke was recovering from a long period of depression during which he did not write. In 1921 the noted patron of the arts Werner Reinhart invited Rilke to live at the Chateau de Muzot, where he found renewed inspiration and could dedicate himself to writing again. In a storm of creative energy in February, he completed the Duino Elegies and wrote the entirety of the Sonnets to Orpheus. Written during this incredibly productive period, this is a superb Rilke letter. French philosopher, playwright, novelist, political activist, biographer and literary critic. 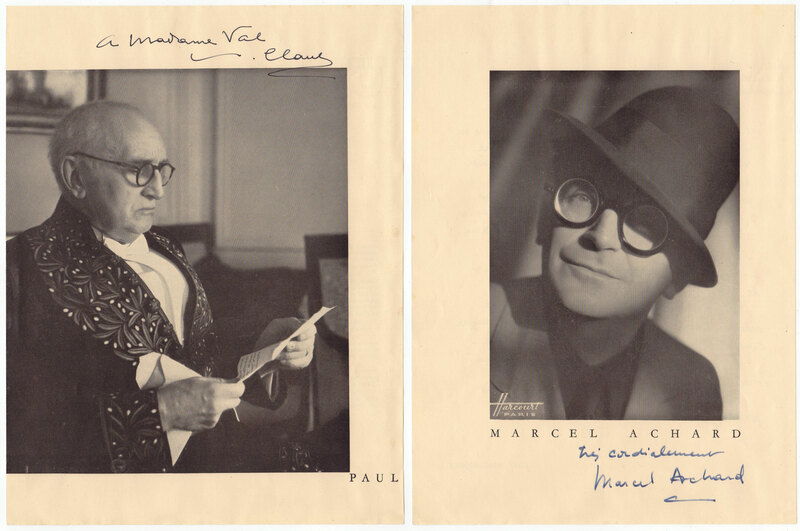 Signed and inscribed photograph “avec Valerie Mass … homage de JP Sartre”. Page from a program, 1p., 5.25 x 7.0 inch, n.p., n.d. 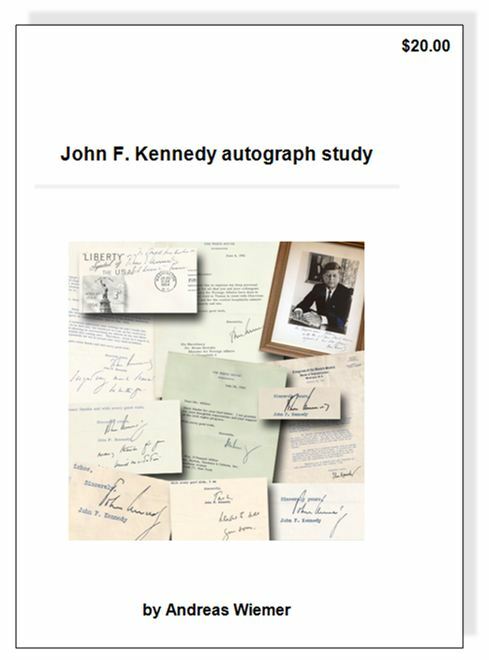 Signed in dark black ink and in fine condition. Uncommon and scarce Sartre autograph. Austrian author and dramatist. Signed postcard “Arthur Schnitzler München 10.12.(1)910”. Postcard, 3.5 x 5.5 inch, Munich, 1910 December 10. Signed and dated by Schnitzler in pencil, photo shows the “Maximilianeum” in Munich. Stain upper right corner, else good condition. Irish playwright. He is the only person to have been awarded both a Nobel Prize in Literature (1925) and an Academy Award (1938). Signature “G. Bernard Shaw”. 2.25 x 1.0 inch piece of paper, n.p., n.d., dark black ink. Matted in off-white with a black and white paper-photograph to an overall of 5.75 x 8.5 inch. Mount with some surface bends, else good condition. Swedish playwright, novelist, poet, essayist and painter. Autographed postcard signed “AugStrin”. Recto and verso of a postcard. 3.5 x 5.5 inch. Stockholm, 1908 March 6 (postmark). To his translator, the writer Emil Schering in Berlin, concerning his Babylonian researches. In full: “Algyogi-Hirsch: Angebliche Vorkommen d. Jehova Giessen 1903. 1,20. Största Hammurabi-betens / Allra mindre eger jag! / Detta väntas före Suppl. 2.” Strindberg commented in "En ny blå bok" (published in May/ June 1908) the so-called "Babel-Bibel-Streit" by Friedrich Delitzsch or his thesis that the Jewish religion and the Old Testament were based on Babylonian roots. One chapter is devoted to the Babylonian King Hammurapi. He mentions the essay of Algyogi-Hirsch in the chapter "Jehovah-Cylindern avslöjad". In "August Strindberg's Brev" and "Letters to Emil Schering" not printed. Handling wear, else good condition. Czech-Austrian pacifist and novelist. In 1905 she was the first woman to be awarded the Nobel Peace Prize. Autograph letter signed “B. von Suttner”. 3 pages, bifolium, 5.0 x 8.0 inch, n.p., 1896 October 6. In German regarding publications: „…Ich habe meinem Schützling sogleich Mitteilung gemacht, daß Sie gewillt seien, ihre Arbeiten zu prüfen … Mögen die Arbeiten nur gut sein! Denn Interesse verdient das Schicksal jener unglücklichen und würdigen Frau, die nur einen Wunsch hat: durch rastloses, ehrliches Arbeiten ihrem begabten … Söhnchen eine gute Erziehung geben zu können …“ In fine condition. Czech-Austrian pacifist and novelist. In 1905 she was the first woman to be awarded the Nobel Peace Prize. Autograph letter signed “B. von Suttner”. 2 pages, bifolium, 5.0 x 8.0 inch, Castle Harmannsdorf, 1887 September 19. In German regarding publications: „… Gleichzeitig … ist auch eine 2te Auflage meines ‘Inventariums einer Seele’ auf den Markt gekommen. Gegenwärtig habe ich einen neuen Roman unter der Feder, der voraussichtlich Ende Okt. fertig gestellt sein wird und den ich (wie wir beide dies ja mit allen unsern grössern Sachen zu thun pflegen) zuerst Ihnen vorlegen werde …“. In fine condition. Austrian novelist, playwright, journalist and biographer. Typed letter signed “Stefan Zweig”. 1p., 8.5 x 10.25 inch, Vienna, 1911 September 4, on his personal “SZ” stationery. Addressed to the writer Dr. Albert Sergel (1876-1946) in Reutlingen. In German, in full: “Lieber Herr Doktor, ich komme eben von einer Reise zurück, finde mit Freude auf dem Tisch Ihr schönes Buch liegen und freue mich ungemein darauf, nicht zumindest mit der kleinen Eitelkeit, darin gut vertreten zu sein. Ich komme bald wieder nach Berlin und hoffe, dass wir dann Gelegenheit zu gutem Zusammensein haben werden und bitte nur für heute Sie und Ihre Frau Gemahlin, meine herzlichsten Grüsse zu empfangen.“ Accompanied by the original mailing envelope. Mailing folds, handling wear, else good condition. Subscribe and get FREE SHIPPING on all your orders.